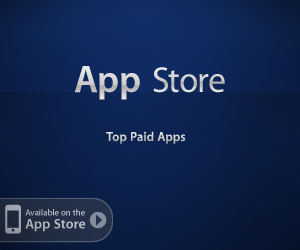 Applevine Rumors: Sony DRM Free Music? 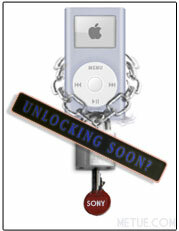 In 2006 and 2007, Apple was one of the torch-bearers in the movement to push record labels to license downloadable copies of their music without digital rights management encryption (DRM) but when the fruits of that effort were eventually harvested, when the labels decided to go DRM-Free, the rewards largely passed Apple by. At the time, iTunes was already the leading distributor of digital music. There wasn’t a competitor even close. The record labels, in an effort to level the field and try to shift the balance of distribution power to a less monopolistic scenario, allocated DRM-Free licenses only to Apple’s rivals; stores like Amazon and Walmart. It’s a strategy they’ve yet to reconsider. To date, EMI remains the only representative of the Big 4 (the world’s four largest record companies) that allows Apple to sell DRM-Free tracks. Rumor has it, however, that may soon start to change. Fresh off recent upgrades to Macbooks last month and with no iTunes chatter to replicate Harmonix’ Beatles’ conquest, the Applevine (aka Apple Rumors and Speculation) surprisingly came to life to start this week with a couple new speculative suggestions. 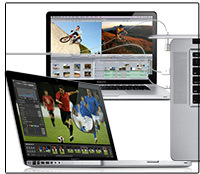 On the Mac front: Apple watching website MacNN is reporting their sources say upgrades to the Mac Mini and iMac computers could be announced on November 10th. Layoffs. Write-offs. Weak Guidance. Turbulent Times. Uncertainty. Foggy Futures. Cracked crystal balls. Caution. Concern. In recent weeks, bad financial news has been like a mosquito you know is there but can’t swat. It’s been a constant, inescapable drone to a market fearful and in need of reassurance; a market in need of Napoleon’s kind of leader. 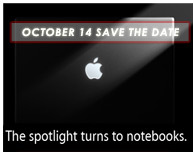 Tuesday, Apple revealed an evolved slate of thin, light, eco-friendly MacBook notebooks to waiting audiences. Greener, leaner and more powerful than ever, the laptops remain high on style and function but despite prelaunch speculation to the contrary they’re still mostly premium priced, premium products. Entry priced from $1299 to $1999 (with more expensive configurations also available) the revised MacBook’s feature aluminum cases, more powerful NVIDIA graphics cards (a dual card structure on the 15 inch MacBook Pro), LED backlit displays and wear-resistant glass multi-touch track pads with near 40% larger usable area than some prior models. When Apple hinted at a new product release by September in July’s earnings call, many followed the trail of bread crumbs to the conclusion new Macbooks were coming. The notebook computers were overdue for a makeover, they reasoned. It was time. So as the launch day grew closer, the Applevine grew louder with more rumors, theories and predictions. Some speculated new internals, new chips, maybe even from PA Semi Conductor. Other’s predicted a redesigned aluminum case and a sleeker profile to match the design of the Macbook Air. As it turned out, it was all false positives. None of the rumors were right. Apple’s September product announcements were musical: new iPods and iTunes. Now, a month later, the Macbooks are finally poised to get their update too. Smartphones Still Selling? iPhones already at 10m in 2008? Smartphone sales were up handsomely in the U.S. in the first half of the year and the average price of smartphones was down 26% to $174 in August (via NPD Group). With consumer spending on the wane and all the doom and gloom of the current economic climate likely to seal wallets even tighter, some analysts still believe smartphone sales will remain resilient; the lower prices and increased competition luring consumers to substantial improvements and value at relatively low entry points. There’s not really any way of validating the forward looking claims but to start the week, a handful of new smartphone data points have hit the market to help fuel the debate. One even suggests Apple may have already sold ten million iPhones in 2008. 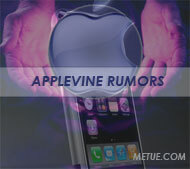 Applevine Report: Legal Troubles Averted, New iPhone Model? 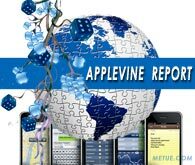 Friday, while the market was digesting more bad financial news, and tech watchers were processing the market’s overwhelming lack of confidence in RIM’s near term “land grab” spending plan , three news kernels hit the Applevine. 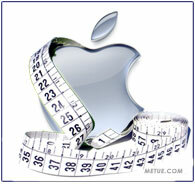 Two, both positive, concerned the removal of minor legal obstacles from the Apple’s path. The third piece, while only rumor, concerned iPhone production volume and the prospect of a new model.